Romance is a lot like baseball. It's not whether you win or lose. It's how you play the game. 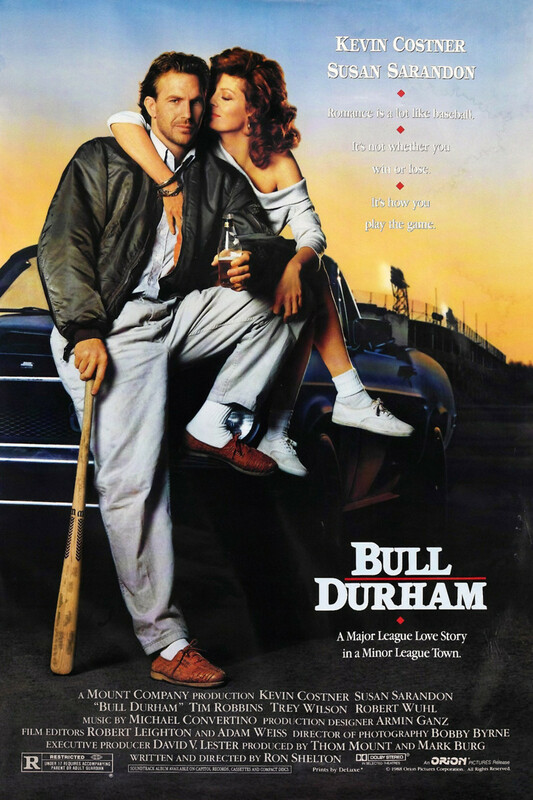 Crash Davis is a veteran minor league baseball player new to the Durham Bulls, a team with a lackluster record. While coaching the young, but talented pitcher Nuke LaLoosh, he falls into a seasonal romance with team "mascot" Annie. As it turns out, Annie, who proudly strikes up a romance with one Bulls player each season, is involved with both Crash and Nuke at once. The film hinges on each of the three major characters' individual conflicts - Crash attempting to retire with some respect, Annie finding a genuine relationship and Nuke making it to the big leagues - cast beneath the overall tension inherent in the story's love triangle.